At the end of May, a team of 32 including a dentist, doctors, a chiropractor, pharmacist, nurses, social workers, occupational therapist, and few non medical volunteers from St. Joseph Hospital, CHOC and from other parts of the world returned after a two-week comprehensive, multidisciplinary medical mission to Yerevan. The trip culminated months of preparation and was conducted under the auspices of Arpan Global Charities, a philanthropic medical organization which has conducted 20 charity medical outreach trips in over fourteen countries. 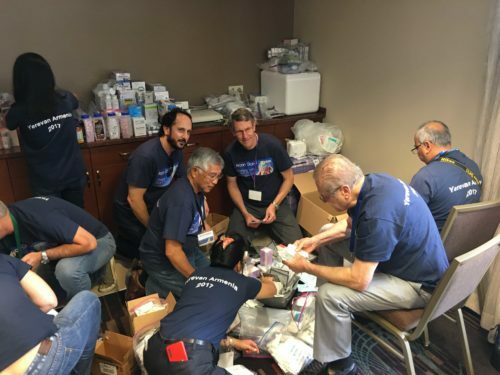 “The purpose behind the mission was more than treating patients and delivering equipment” in Armenia, remarked Dr. Sudeep Kukreja the Director of Arpan Global Charities, and Neonatal Intensive Care Director of CHOC NICU at St. Joseph Hospital, Orange. 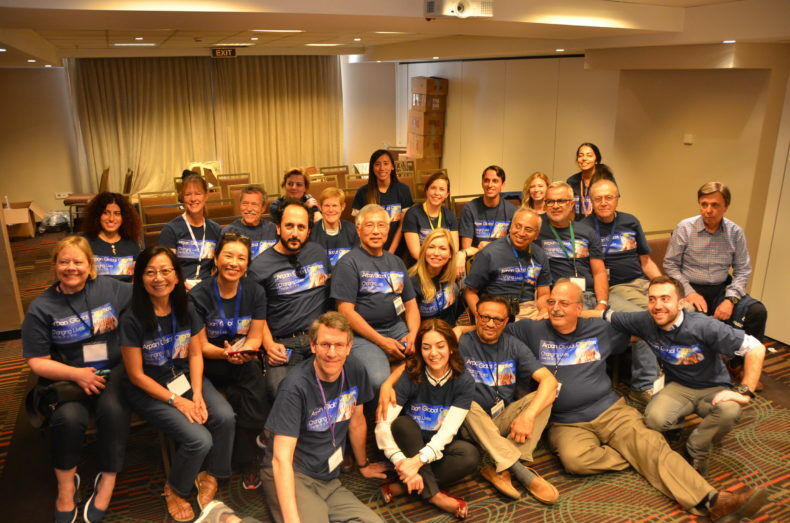 The medical team’s goal was to establish long-term relationships and create programs such as sister hospital networks that would insure that medical advances be maintained by appropriately trained clinicians in Armenia. 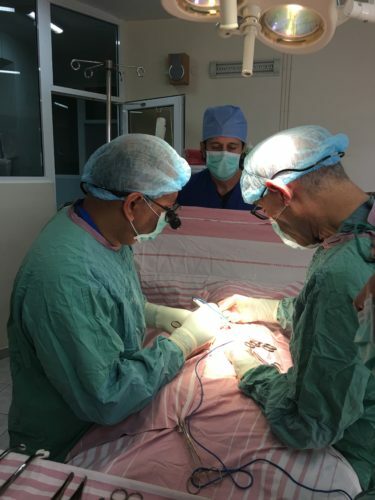 In the two weeks in Armenia, the medical team was organized into groups, surgeons and anesthesia were divided into their subspecialties of pediatric, thoracic, and orthopedic surgery. Three surgical teams and neonatal teams were based at 4 different hospitals in Yerevan: The Arbkir Children’s Hospital, St. Grigor Lusavorich Hospital, Izmirlian Hospital and Markaryan Maternity Hospital. eo assisted thoracoscopic surgery) for decortication and lung resection surgeries. Techniques for postop pain management like ultrasound guided blocks and thoracoscopically placed OnQ pump catheters. Other “firsts” included laparoscopic gynecologic and urinary incontinence surgeries, as well as pediatric laparoscopic surgeries. The team saw 800 patients, performed 58 surgeries, visited several orphanages where they distributed clothes, toys, and food. There were very productive exchanges of information between visiting team members and the medical faculty from Armenia. They brought thousands of dollars worth of medical equipment and supplies with them from the United States including the latest state of the art pulse oximeters, with transcutaneous hemoglobin capabilities (donated by Masimo), laparoscopic surgical supplies, sutures, medication, and many other eye surgery supplies including intraocular implants donated by SEE International. The charitable team members were interviewed on local television and featured in local and online media services. Many inroads to shaping the future of Armenia’s health care system were introduced. These included the utilization or care team protocols and checklists, importance of ‘skin to skin’ newborn bonding, and the development of lactation programs. Social health issues advocating children’s protective care services and women’s protective care services were also promoted and stressed. Overall this was another very successful medical mission organized by Arpan Global Charities. And this mission was not possible without hard work and dedication of Dr. Gevorg Msryan, a PICU fellow, from Arbkir Children Hospital in Yerevan who worked under constant guidance of Dr. Ara Babloyan, who is the Armenia National Assembly Speaker and the director of the Arbkir Children Hospital.